An agreement setting up a coalition of Polish and Ukrainian employers for Euro 2012 soccer Championship was signed here Monday by head of the Confederation of Polish Employers Andrzej Malinowski and Ukrainian Economy Minister and head of the Ukrainian Union of Industrialists and Businessmen Anatoly Kinakh, Polish PAP news agency reported. The coalition will support projects related to infrastructure and transport, sports infrastructure, development of accommodation and catering and the two countries world-wide promotion. “We want to help the government and Members of the Parliament in preparing most favorable solutions for the staging of the championships,” said Malinowski. He appealed to the government for the acceleration of work on necessary laws, including a law on public-private partnership. Poland’s Economy Minister Piotr Wozniak present at the conference said that private capital would be needed to prepare Euro 2012 smoothly. He announced that the government work on public and private partnership was nearing completion. 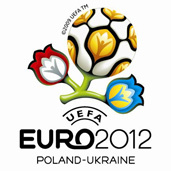 On April 18, Poland and Ukraine were chosen to co-host the European Championship in 2012. They will co-host the soccer tournament for the first time in history.